Milo Butler and Sons Ltd.
Business View Caribbean interviews representatives from Milo Butler and Sons Ltd., as part of our focus on best business practices in the Bahamas. In a small park across the street from Parliament Square in New Providence, Bahamas, there is a large bronze statue of Sir Milo Butler, the first Governor General of the Bahamas. Active in politics and governmental affairs for many years, and appointed to the post after the country received its independence from the British Commonwealth in 1973, Butler was also among the leading merchants in New Providence, having founded the company Milo Butler and Sons Ltd., many years before. By the time Sir Milo left the business to pursue his political career, the company, which incorporated in 1963, had developed a distribution warehouse, as well as a few retail stores and a liquor store. The second generation was now in charge of the family business and continued to grow it. “We’re now a third generation and still trying to grow,” says Allan. 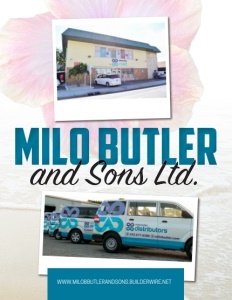 “We’re the only black distributor business in the Bahamas and, in this era, we are making serious inroads in our markets.” Today, Milo Butler and Sons Ltd. has five liquor locations, one retail outlet, and a wholesale location on New Providence. 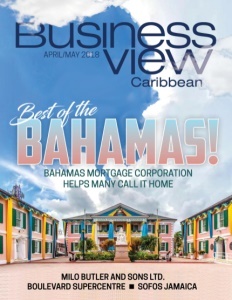 “The Bahamas has 700 islands and cays,” adds Damian Butler, Allan’s cousin and the company’s current Managing Director. “We have partnerships on those islands and we distribute liquor and food items to businesses that are much smaller. Most of our products are imported. We’ve got products coming from South America, Europe, the U.S., and Canada. 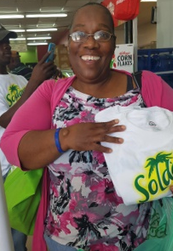 We have about 90 permanent employees and about 112, inclusive of part-time employees.” Apart from its operating businesses, the company also owns two shopping plazas and has equity stakes in several publicly-traded companies, chiefly AML Foods, Cable Bahamas, and Commonwealth Bank. “Our company has, in many ways, invested in different sections of society through our investments,” says Damian. Going forward, Damian says that the company plans to continue to expand its liquor business – over the last three years, it has gone from one store – the Flying Dutchman Liquor Store – to five, and he hopes to open two more. “In addition to that, we intend to expand our distribution business in terms of renovating our current facility, expanding its capacity an additional 5,000 square feet or so, and to increase the efficiency and improve our services as they are, today,” he reports. Sir Milo, who passed away in 1979, would undoubtedly be proud of what his descendants have continued in his name. 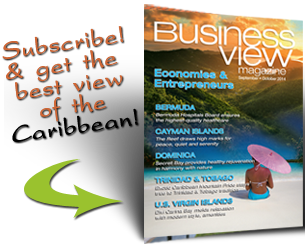 Check out this handpicked feature on The Flowers Group in the Cayman Islands. 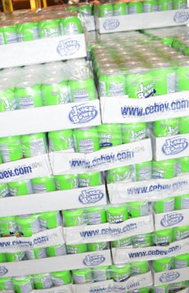 Cebev LLC – Cebev (Cutting Edge Beverages) sells a variety of high-nutrition beverage product, including 100 percent juices and teas, with a focus on food service applications. The company began in 1967 as Juice Bowl, packaging fresh fruit juice into shelf stable containers, providing much needed Vitamin C and other nutrients to children. It was bought in 2004, by Jerry Whitlock, and has since added a wide assortment of all natural fruit and vegetable blends and bottled teas.